Police responded to the 907 Second Street McDonald's around 6:45 p.m. after receiving a call for a report of an altercation between two employees that led to a stabbing. 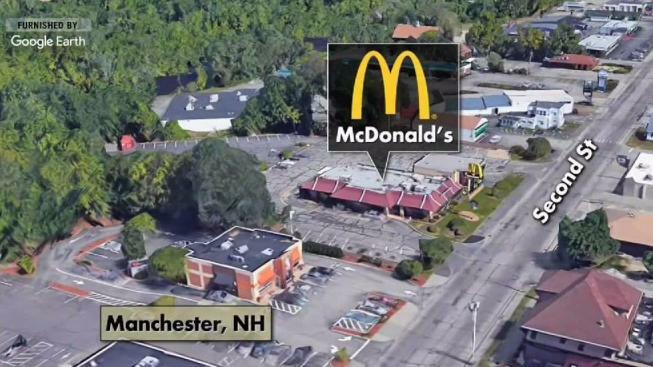 A woman was stabbed Sunday at a McDonald's in Manchester, New Hampshire. The victim was cut in her upper arm with a knife. Her injuries are not considered life-threatening. Anyone with information is asked to call the Manchester Police Department at 603-668-8711 or anonymously at Manchester Crimeline at 603-624-4040. It's unclear what started the altercation. There was no immediate information available on what charges the suspect could be facing. Authorities have not released the names of the suspect and victim.